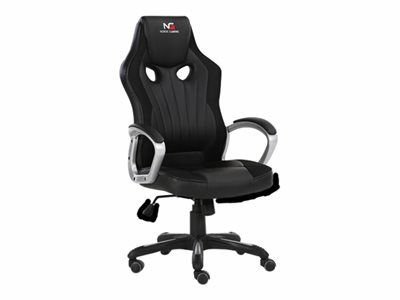 – When establishing our own gaming chair brands, our stated objective was really that simple. Obviously, this does not happen overnight, and since the beginning of 2018, we've come a long way in reaching our objective. 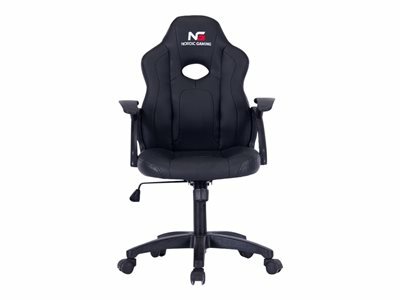 When establishing our to brands Nordic and Nordic Gaming, we tested a lot of producers and products in the process of putting together the best possible gaming chair product range. At DCS, we have chosen a slightly different approach than other suppliers, as we mainly focus on our own brands of gaming chairs, meaning that we are in full control of the whole manufacturing process. This high level of control gives us more flexibility when putting together our product range, developing new products and supporting our customers. This means that our focus is not on price only. We focus on quality and design and tweak the quality depending on the targeted end-user segment for each series of gaming chairs. 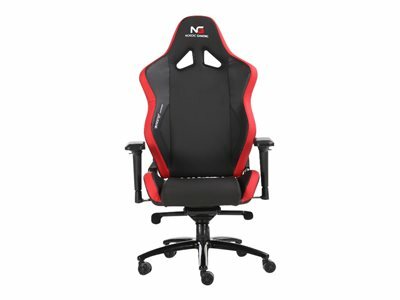 The obvious benefit for you is that you have your whole range of gaming chairs covered by one supplier - but there is more to it than just that. By relying on Denmark's best gaming chair supplier, you make sure that you cover the entire market with new and innovative products just as you make sure you have a common thread in your product range, making it easier for you and your costumers when comparing gaming chairs in different price ranges. 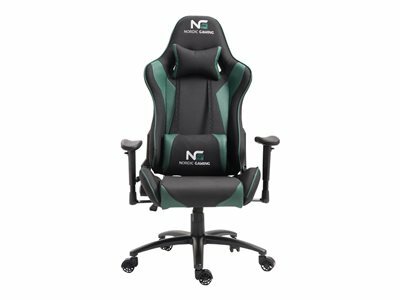 We have been looking very much forward to introducing our two new series of gaming chairs - and it is fair to say that they are placed in two ends of the spectre. 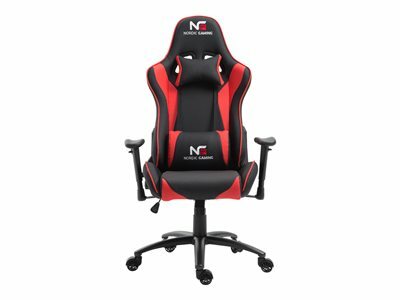 Nordic Gaming Heavy Metal is an XXL gaming chair with a very sturdy construction that carries up to 200 kg, while Nordic Gaming Little Warrior is designed specifically with the youngest gamers in mind. 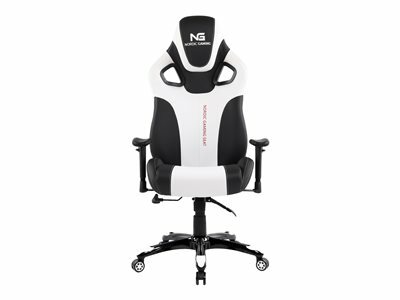 Both new series come with something brand new to the gaming chair market - and the common thread that characterises all Nordic and Nordic Gaming chairs is of course also present in the two new series. We recently made an addition to the Nordic Gaming product range, meaning that you are now able to offer your customers gaming desks that secure the perfect match for our Nordic Gaming gaming chairs. Find our complete product range below and learn more about each series. Nordic Gaming Heavy Metal is our brand new addition to our series of high-end gaming chairs. As the name suggests, Nordic Gaming Heavy Metal has a very sturdy construction and actually carries up to 200 kg. 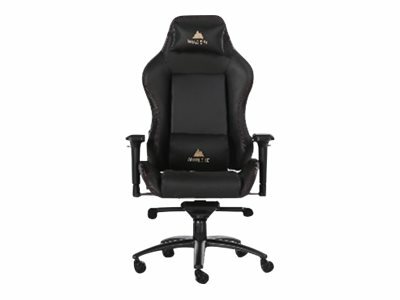 When developing Nordic Gaming Heavy Metal we tried to redefine what a gaming chair should be able to handle, and the result of this is an XXL gaming chair that comes with a larger frame than other gaming chairs on the market. To put it short, Nordic Gaming Heavy Metal is a gaming chair that handles more than most and gives great comfort for gamers in all sizes. Adjustable height, seat and back. 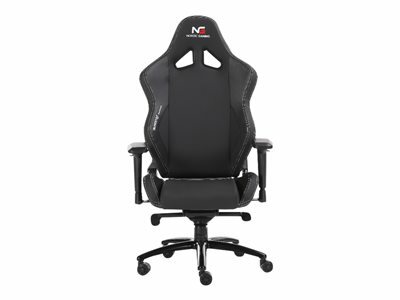 When developing this chair, we have chosen the best possible components and designed a gaming chair that places itself in the very top of the high-end market - and it is quite unique that it carries up to 200 kg. 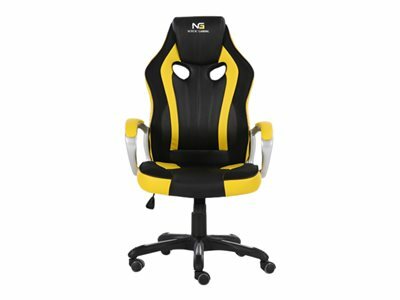 Nordic Gold is our series of high-end gaming chairs that come in a classic, clean and stylish design. 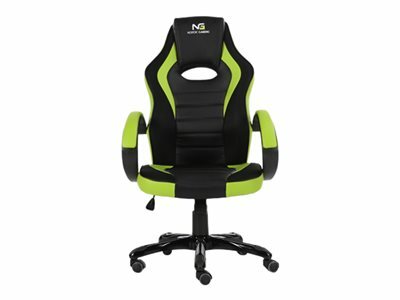 At DCS we are yet to find similar gaming chairs in the market - both in regards to design and quality. Nordic Gold is simply placed in our high-end product range for a reason. Since introducing Nordic Gold they have proven themselves as a proper favourite for both gamers and eSports athletes. 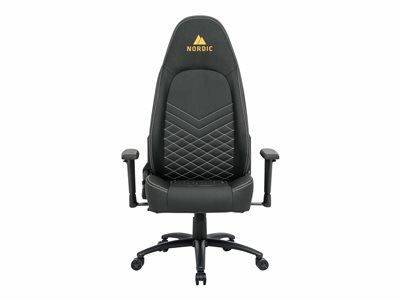 Nordic Executive is a series of gaming chairs that are actually not designed specifically for gaming. By design they are suitable for any context and since introduction, they are now placed in many offices in Denmark. The series also features a light edition that only differs from Nordic Executive in the base, armrest and wheels. 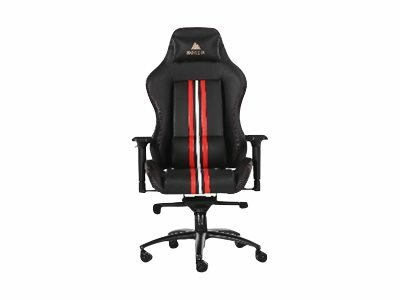 At DCS, we cover much more than just the high-end market and our mid-range gaming chairs are characterised by being a solid choice for gamers that are looking for a gaming chair just below high-end quality. This obviously means that the prices are lower. 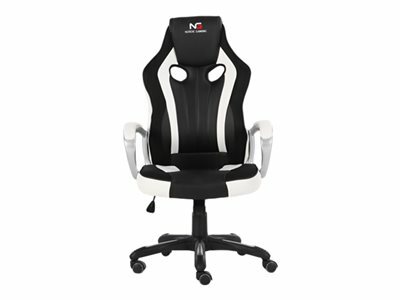 Furthermore, our mid-range gaming chairs are all branded Nordic Gaming, meaning that they differ in design from the Nordic series. 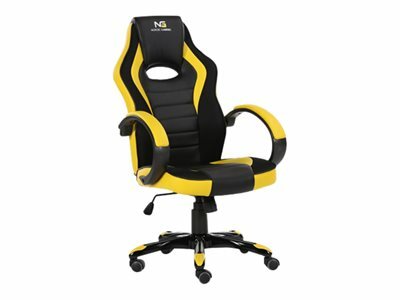 More colours and a pure gaming design that leaves no doubt about the fact that these are chairs designed 100% for gaming. 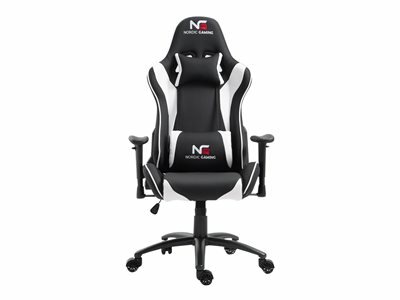 Adjustable and removable neck and back pillows. To put it in short, Nordic Gaming Racer is placed in the top of the mid-range market and leaves no doubt about the fact that it is designed 100% for gaming. 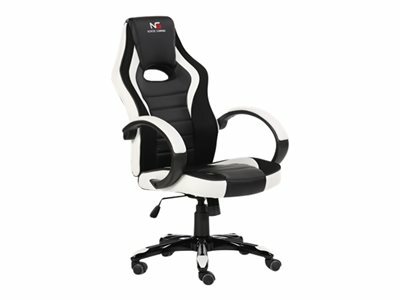 We updated the Nordic Gaming Racer series so it now features a metal base and a slightly upgraded armrest. However, we have not updated our prices, so you now get even more value for money than on previous models. Nordic gaming Performance is a mid-range gaming chair just as Nordic Gaming Racer and differs by design only. 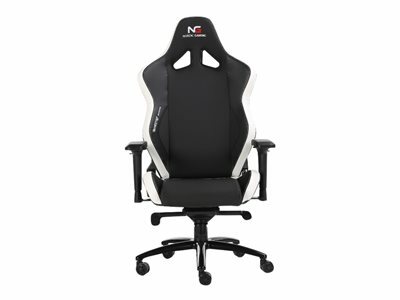 We have tried to meet every mid-range gamers individual taste by developing a series of gaming chairs that come in a more clean and simplistic design, targetting gamers that want something else than the classic racing design. The cheapest series of gaming chairs are found in Nordic Gaming Challenger and Charger, all part of our entry-level product range. Let's be honest; the quality is lower than what you find in our high-end and mid-range - but fortunate for you, so is the prices. 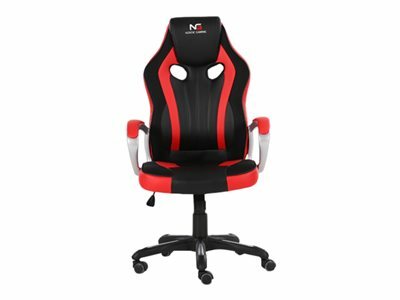 We have tried our very best to find the proper mix of price and quality ensuring you that even though you sell a cheap gaming chair to your customers, the quality exceeds the end-user's expectations. Buy 5 and get 100,- DKK off on your order. 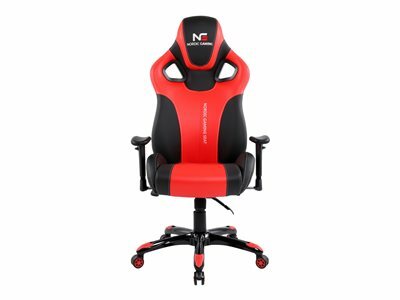 The Nordic Gaming Little Warrior series come at the lowest price of any of our gaming chairs - and there is a very good reason for that. 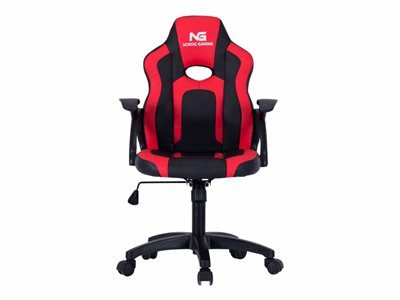 We have designed a gaming chair specifically with the youngest gamers i mind, meaning that we designed a gaming chair with a smaller frame than other gaming chairs, just as Nordic Gaming Little Warrior is priced with the fact in mind that young gamers do not only grow by skill. At DCS, we try to be on top of things, and this includes continuous research on new products to strengthen the Nordic Gaming brand even more. This process has now brought an addition to our Nordic Gaming products range: meet the Nordic Gaming Champion gaming desk. The Nordic Gaming Champion gaming desk is the perfect match for our gaming chairs as it builds on the same style when it comes to design. The table top is large enough for any gaming setup (113 x 61,5 cm) and the stylish Nordic Gaming mousepad secures the perfect match with any of the gaming chairs from the Nordic Gaming brand – and it even comes with designated stands for headset, controllers and drinks. A total weight of only 26,2 kg making delivery directly to end users possible. Gaming is about that one little game-changing detail that will lead you to victory, and our new high-end gaming desk, Nordic Gaming Elevate, is all about details. As the name implies, Nordic Gaming Elevate is a height-adjustable gaming desk that enables the user to adjust the table height to whatever individual liking between 73 cm and 124 cm. Nordic Gaming Elevate comes with an enormous table top of 66 cm x 140 cm covered by a full size removable and replaceable mousepad. 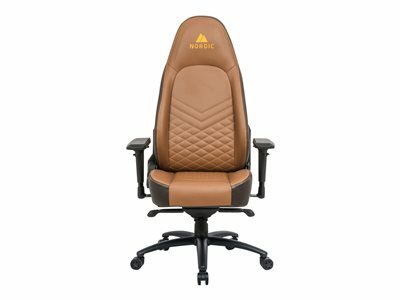 When looking for at high-end gaming desk there is really a few other choices than Nordic Gaming Elevate on the market right now. 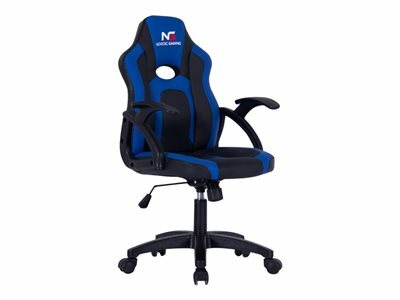 We have designed Nordic Gaming Elevate in the highest possible quality, meaning that you will get two engines, memory functions and elegant cable management. Enormous 66 cm x 144 cm table top.